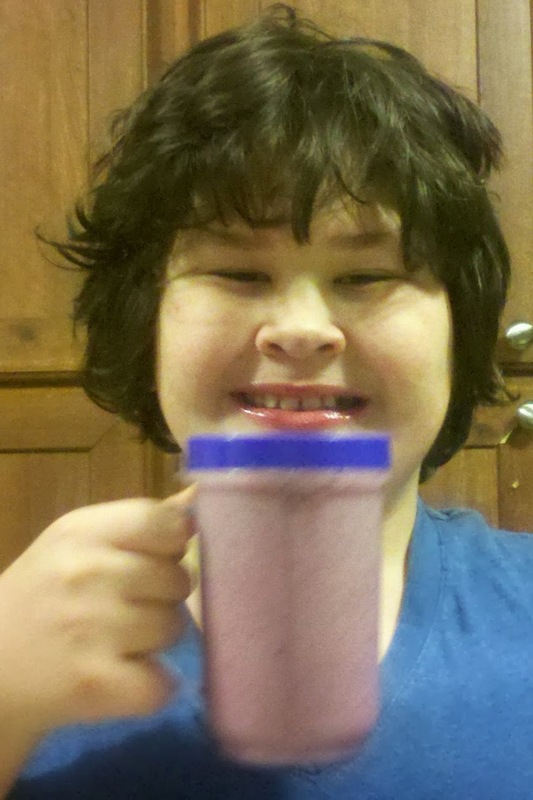 My son getting ready to enjoy a smoothie. You can win a kit just like this! I could write all about the warranty, the different gadgets, how much it holds and all that boring stuff but you have seen the commercials and know it already. I just want to tell you from personal experience it is fabulous. We have had it at least 2 weeks now and I have used it EVERY single day since then. We have made smoothies, frozen margaritas, omelets, etc. in it and we have fun doing it too. And because I love you all (and the company is so very generous and wonderful) they are permitting me to do a giveaway and give my lucky followers a chance to win one for themselves! 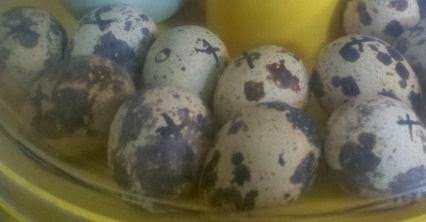 I recently won some quail eggs from a page on Facebook (Honeyfield Urban Homestead). They came in the mail on Monday and it was the perfect opportunity to try out the Mini Eco incubator by Brinsea. 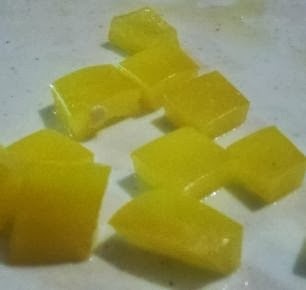 I will update this post and let you know how they turn out. So excited! I love the little carton she mailed the eggs in. Quail eggs are so beautifully marked. The quail eggs in my incubator. The "x" and "o" are marked on them so I can be sure to turn them properly. These are Coturnix Quail eggs or sometimes known as Japanese Quail. What I love about quail is that they mature really quickly. The quail themselves are able to lay fertile eggs at the age of 10 weeks. Yes, 10 weeks! Amazing, huh? Even though the eggs are so tiny, they are still great little eggs to eat. It takes several of these eggs to equal one chicken egg when it comes to eating but quail eggs are a lot better nutritionally than a chicken egg. In fact one quail egg has 4 times the nutritional value of one chicken egg. So, if you have to eat 4 quail eggs to equal one chicken egg, you get a lot more protein because one quail egg has 13% protein and one chicken egg only has 11% protein. 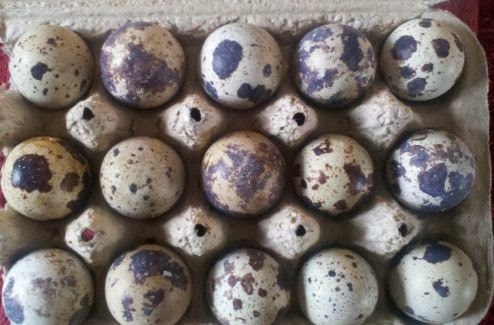 Factor in that a quail egg has 3 times the amount of B1 and 5 times the amount of iron and potassium and that they are actually rich in calcium too, you can see why quail would be a natural choice for a homestead, especially preppers. They are small, nutritionally rich and could be considered the "rabbit" of the bird world. We do not do cold cereal at our house anymore. We stopped buying breakfast cereal a few months back. Instead we have oatmeal, eggs, biscuits and gravy, doughnuts, or pancakes and it is all made from scratch. Today's recipe is our waffle recipe. If you do not have any apple or pumpkin butter, you can use applesauce instead. Just mix all the ingredients together into a bowl. 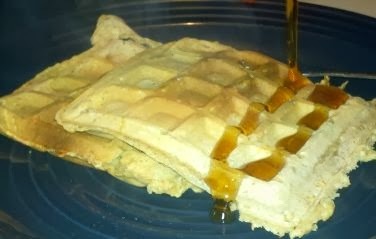 Heat up your waffle iron and when it is ready, cook the waffles. They have such great flavor. This makes 16 waffles. Extremely Sharp is a great company. They are very passionate about what they do and it shows. 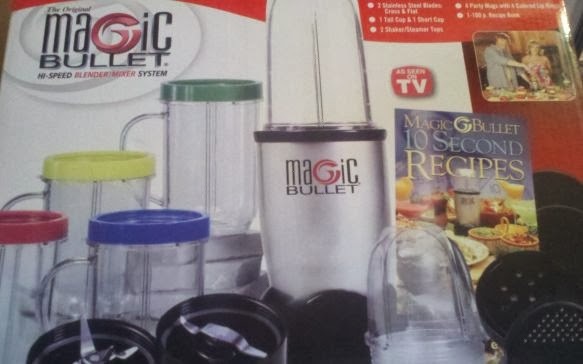 The company has excellent customer service and high quality merchandise at reasonable prices. We had the joy of trying out a set of their throwing knives. Man, oh, man, were they sweet! They came out of the package super sharp and perfectly balanced. My husband, teenage son and I had a blast trying them out. They were easy to grip and throw and comes with a nice sheath. 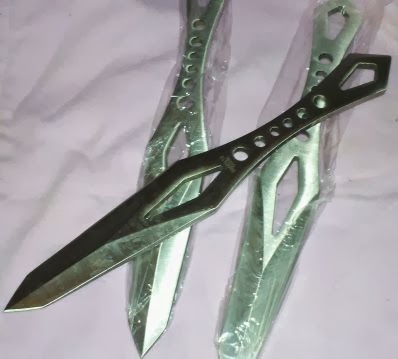 If you are in the market for a set of throwing knives or any kind of blade, I highly encourage you to check out Extremely Sharp first. You can check them out on Facebook too! I received this item in exchange for a review. I did not receive any monetary payment. The opinions are my own and accurate. I believe in this company. One uncommon thing I dehydrate frequently is used coffee grounds. Once we make a pot of coffee, I just place the coffee filter and all onto a dehydrator tray and turn it on for a few hours. Once the coffee grounds are completely dry, I store them in a quart jar. Here is a mason jar with my "dehydrated" coffee grounds. How can they be used? Well, we use them when we go camping. A camp percolator will cook these grounds up nicely. It tastes nice and strong so there is no reason to just throw them away. Besides, if "crap" ever does hit the fan, you'll appreciate any kind of coffee whether it is "seconds" or not. :-) Another way to use them is on your garden. 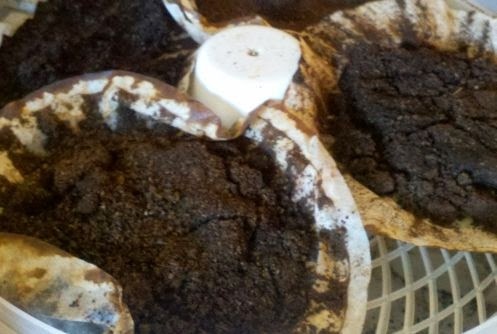 It really helps the soil by adding nitrogen to the soil so in March or so, go till some used coffee grounds in your soil. Be careful not to use too much coffee in your garden though because too much will lower your soils pH balance. A few days ago I commented on Facebook that I had spent the whole day and evening preparing a month's worth of meals in one day. I decided on the 15 meals I wanted to make; made out the shopping list; and went shopping. Once I got home, my husband, teenage son and I got busy preparing all the recipes. One of us would be peeling potatoes; another one would be assembling ingredients and then we would put them together and worked well together. We made two each of every meal and have 30 meals in the freezer now. Each day, we just place the meal into the crock pot and wait to enjoy it. 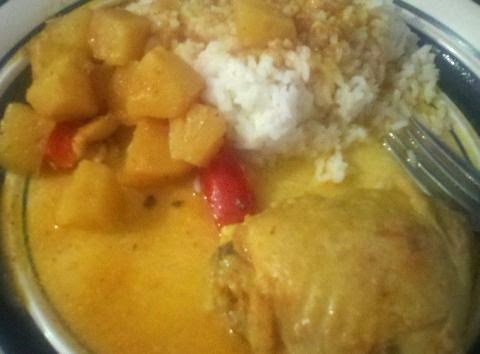 Today we enjoyed Sweet & Sour Chicken. It froze well and we just let it thaw overnight in the refrigerator. It wasn't completely thawed but that is okay too. To begin with, label your baggie with a sharpie. 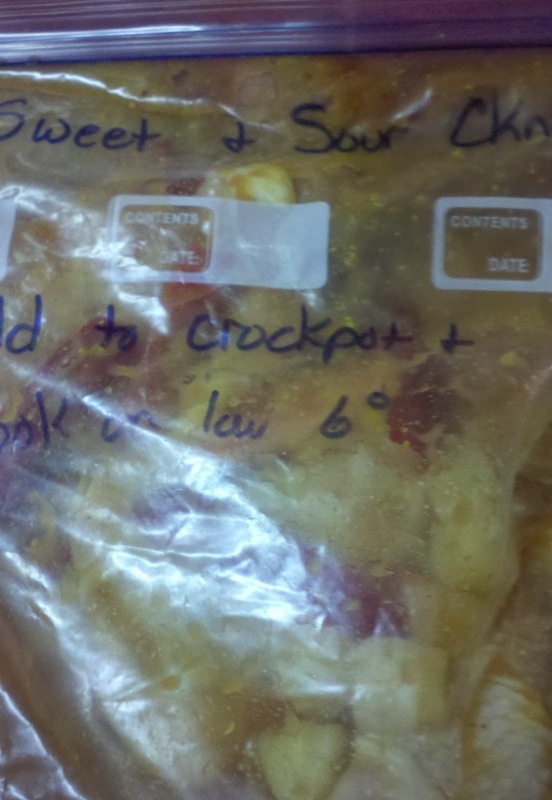 "Sweet & Sour Chicken Cook on low 6 hours or on high for 3 hours". We used 4 pieces of chicken because that is how many is in our family. Adjust accordingly for your family. Place all ingredients into a large quart size baggie; squeeze all the air out and make sure it is closed. Lay flat in your freezer. A day or two before you are ready to cook this, place in your refrigerator to thaw. When ready to use, turn on your crock pot and empty the bag ingredients into your crock pot. You may need to add up to a cup of water. We cooked ours on high for 3 hours and the flavors were amazing. We served this over rice and was a big hit. So flavorful and delicious! When I was contacted and told that I was going to get to review a Piczzle puzzle, I was super excited. I could not wait to order a personalized puzzle. 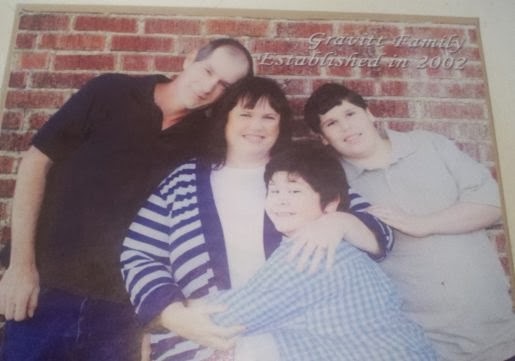 Naturally I sent the company my favorite photo of my family and within just a few days, our puzzle arrived. Let me tell you, this is no cheaply made puzzle. 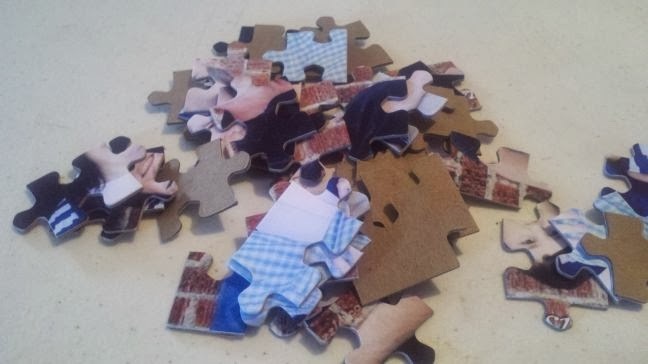 The puzzle pieces are made of cardboard but are not super thin or flimsy. They are nice sturdy cardboard puzzle pieces. You also get to decide on the text that is on the puzzle. How fun is this?! Here is the puzzle box with our personalized puzzle inside. Our puzzle pieces. We did not tell our youngest what it was. We just let him start putting it together. As you can tell by the smile on his face, he likes it. their website; Facebook and Youtube. Our puzzle is a 48 piece puzzle and for this giveaway, they are allowing us to give away a small (4.5" x 6.25") puzzle with either 6 or 24 pieces (your choice). You decide on the image and text and they'll ship it to you if you are chosen the winner. All you have to do is enter through the rafflecopter below. 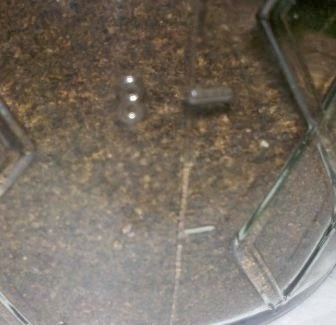 I had the honor of being able to review a Canteen water filter from Clearly Filtered. My husband was most excited about it because he will be the one using it the most. He served proudly with the USMC and is an avid hunter, camper, and prepper. He has been reading all about the canteen filter over at the Clearly Filtered website and was excited to try it out. As soon as he received it, he immediately took it down to the creek that runs behind our house. Once there, he filled the canteen, and took a drink. He said it tasted great. No off taste. It tasted like nice, clean drinking water. 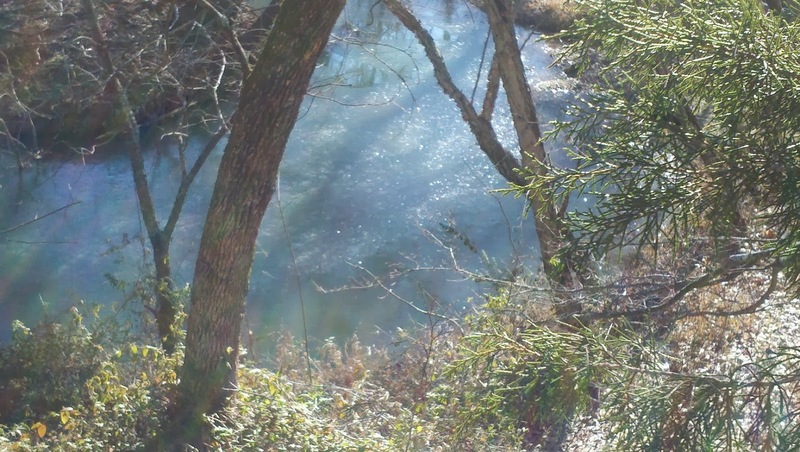 Here is a picture of the creek water after going through the canteen filter. Is it not crystal clear? It is definitely going in our bug-out-bag and will go with us whenever we go camping too. As an added bonus, this canteen will fit in my husband's military canteen pouch & cup. Each filter can filter up to 100 gallons of outdoor type water. It purifies and filters out the nastiest stuff. 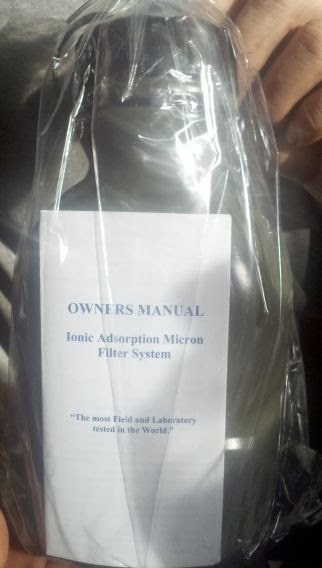 In fact, it removes 99.99% of the following: Chlorine, Bacteria, Giardia, E Coli, Salmonella; and 97.5% of lead. It is priced right under $35 so with it filtering 100 gallons, you are paying around 35 cents a gallon. Isn't that worth the piece of mind of having safe drinking water no matter where you are at? We think so! I was provided this product for free but the opinions are my own. I LOVE to dehydrate. Today, I have been dehydrating bell peppers and drying the seeds too. The seeds will be saved to be used in my garden this summer. 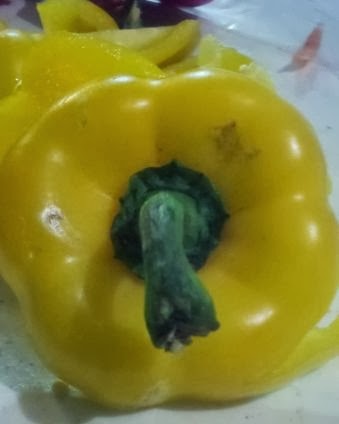 Just wash your peppers. Cut off the top of the peppers and gently remove the top and shake the seeds off onto the cabinet. Just slice up your peppers by dicing or cutting them into strips. I dehydrate four different colors of peppers so I use one tray per color. One tray will have diced red peppers and their seeds; another tray will be for yellow peppers and seeds; one for orange and one for the green peppers. 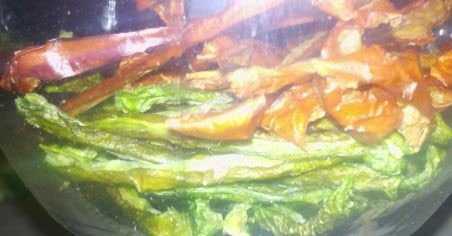 Once dried, I store all the dehydrated peppers together. I will use them in soups, casseroles and to make colorful salsa this summer. 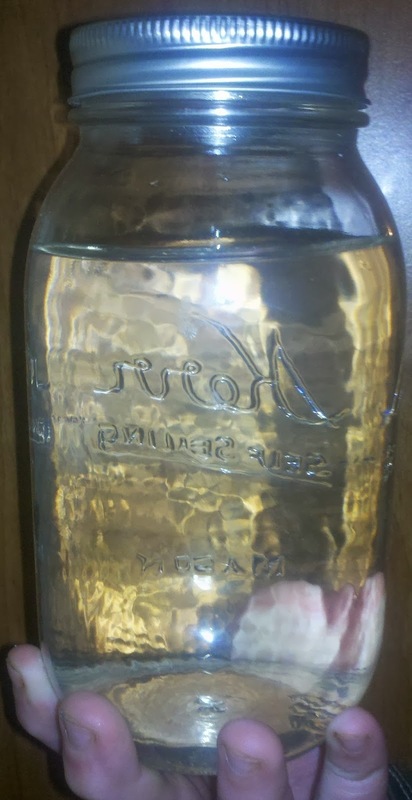 They can be stored on the shelf in a baggie or quart jar. 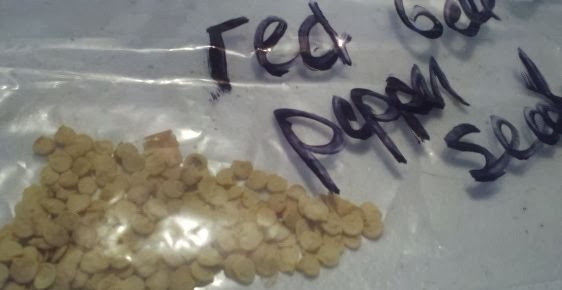 The seeds I keep in small baggies and just mark the baggie accordingly.